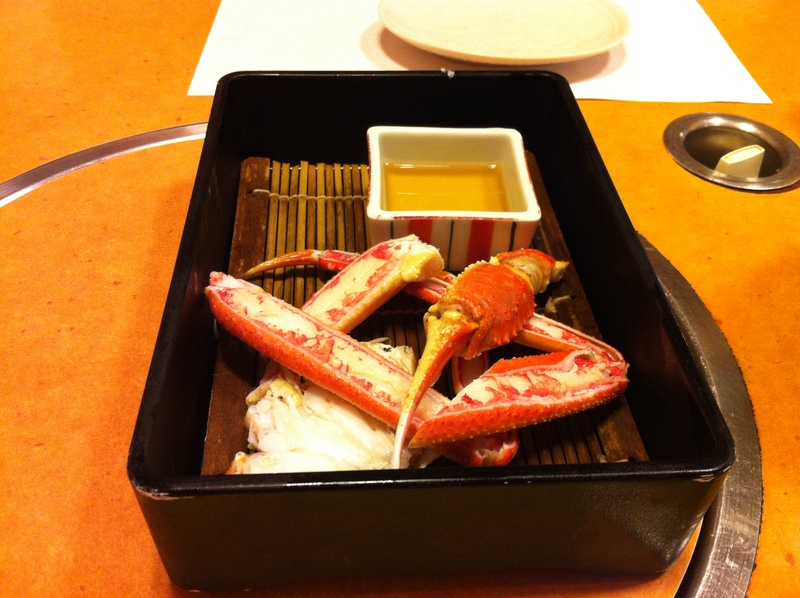 ‘Kani’ (かに) is the Japanese word for ‘crab’. 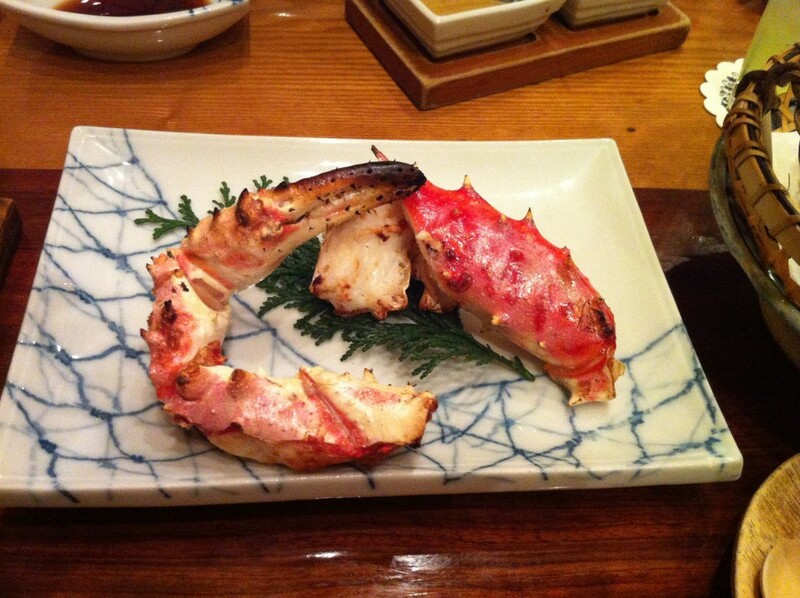 If you type ‘doraku’ (道楽) into Google Translate, it will tell you that it means ‘debauchery’. 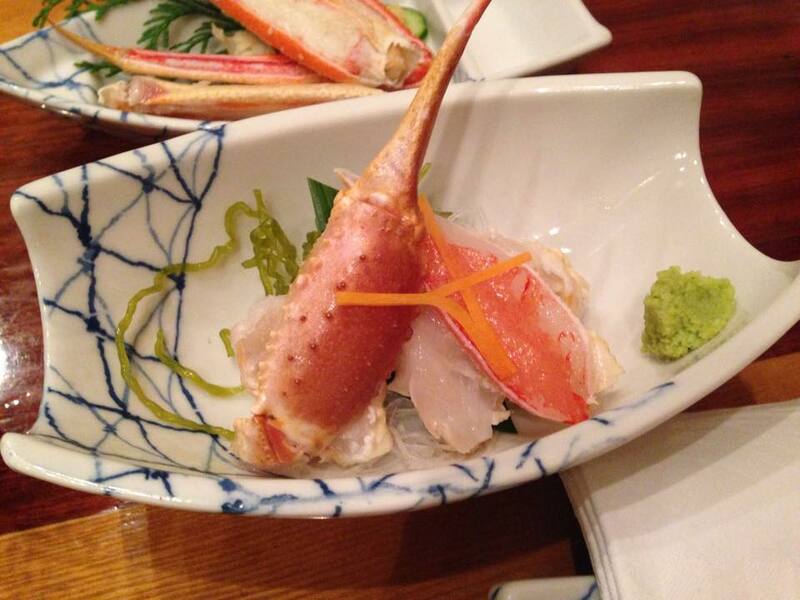 Crab debauchery! Needless to say, I think there’s a nuance issue here. 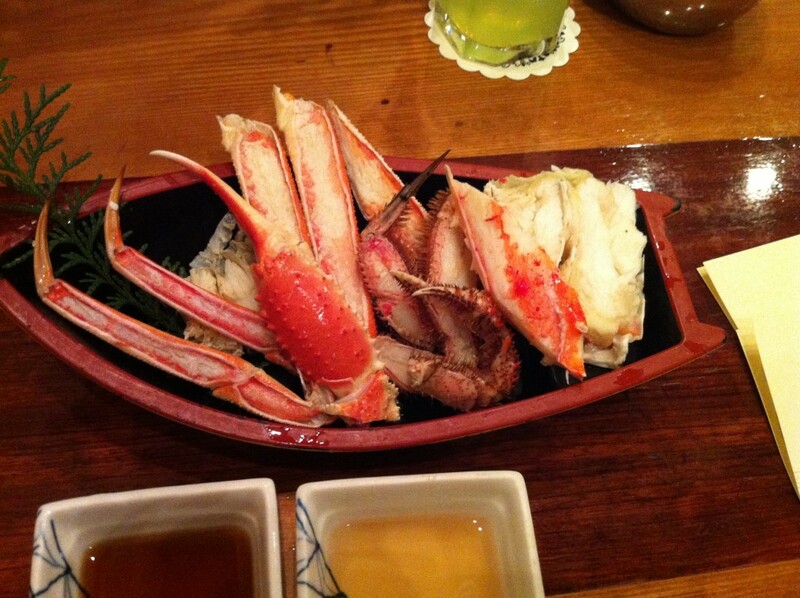 My guess is that in this context it’s probably something closer to ‘crab indulgence’ – and a crab indulgence it is! 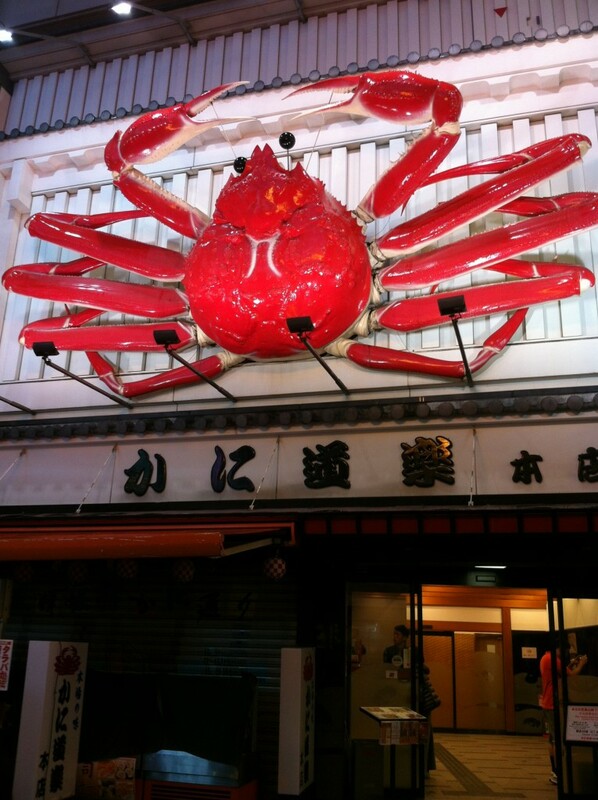 The original store, Kani Doraku Dotonbori honten (pictured above) is one of the most iconic restaurants in Osaka. 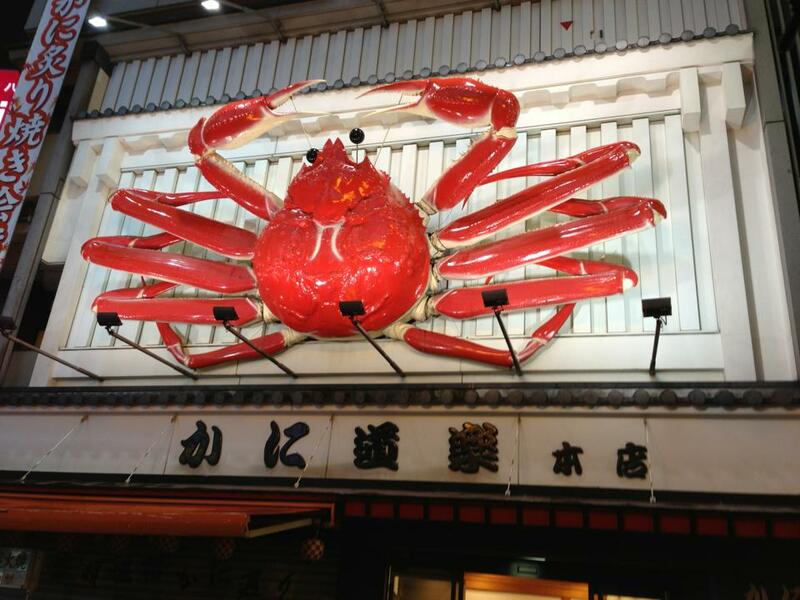 In fact, there are several Kani Doraku restaurants in Osaka with the giant, moving crab out the front. Kani Doraku Dotonbori honten was the first Kani Doraku restaurant that my partner and I visited. It takes up several floors of the building, some of which are non-smoking (which is a nice change from many restaurants which have non-smoking sections which mean that although some tables are non-smoking, you can’t avoid it altogether). We made our reservation at the reservation desk on the ground floor. Although the restaurant has 332 seats over several floors and is open until 11pm, reservations are highly recommended – especially if, like us, you want to dine on the non-smoking floor. 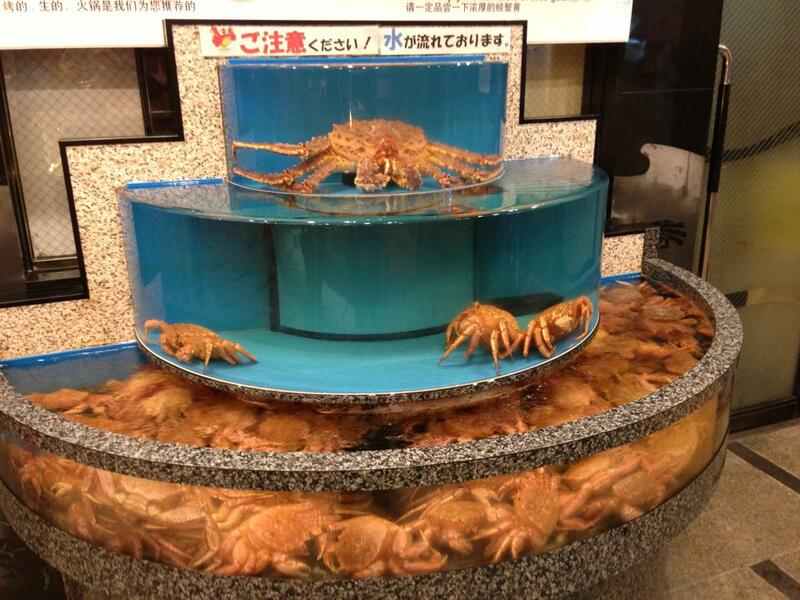 In the reception area, there is a display of huge, live crabs. 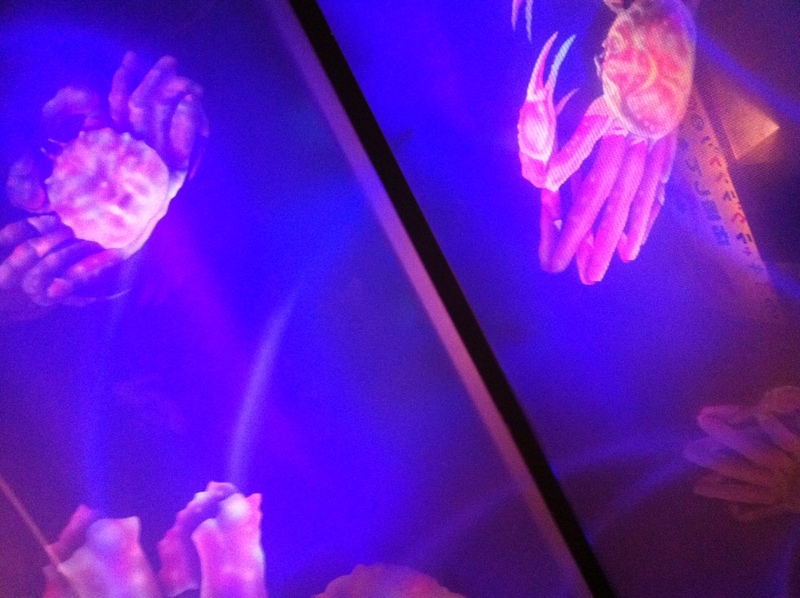 They take their crabs pretty seriously at Kani Doraku, so even the lifts (elevators, for my American readers) have images of crabs projected onto the ceiling. 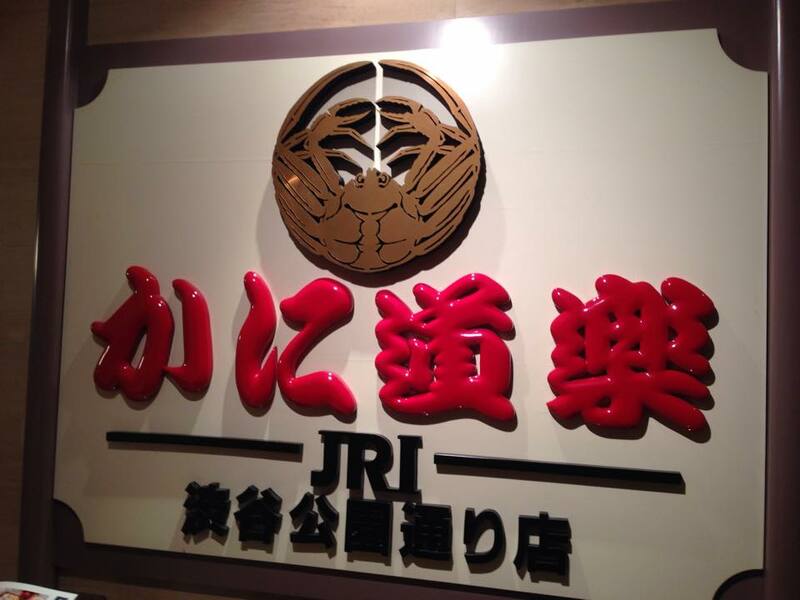 At the Dotonbori honten restaurant, they take your shoes when you reach your floor and keep them in a locker for you. It’s an interesting experience walking around a restaurant in your socks! 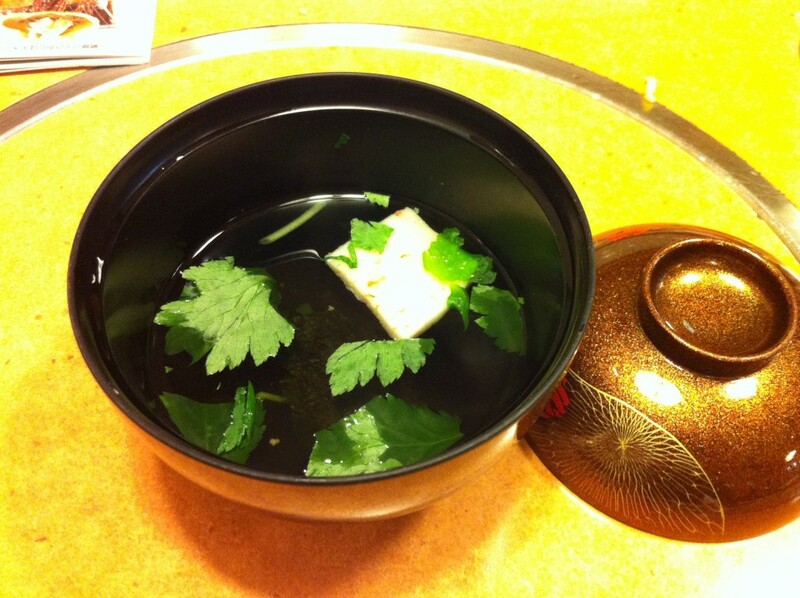 Kani doraku is one of those restaurants where you take off your shoes and sit at tables that are lowered into the floor. There is space under the table for your legs, or you can sit cross-legged. 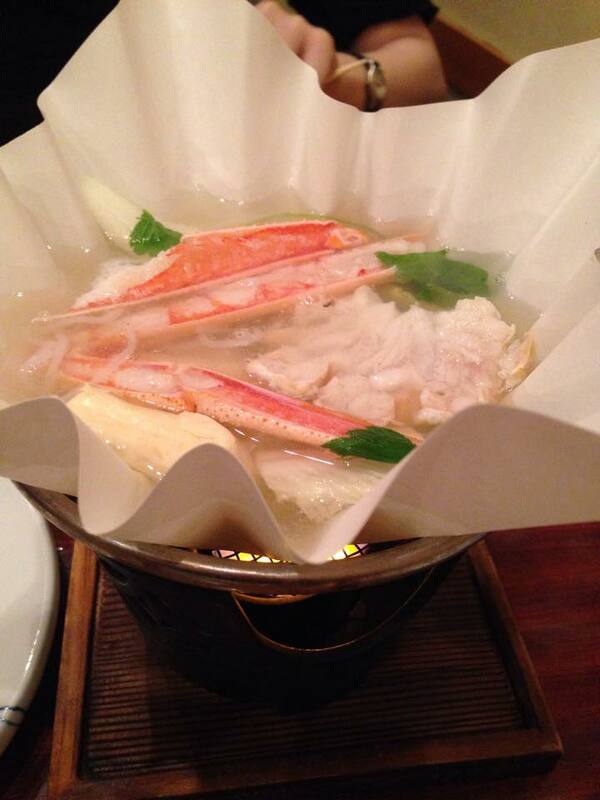 There are many, many crab dishes to choose from. You can select them individually, or you can choose one of several set menus. The food is absolutely delicious, so whichever option you pick, if you like crab then you will enjoy it. The view from where we sat. 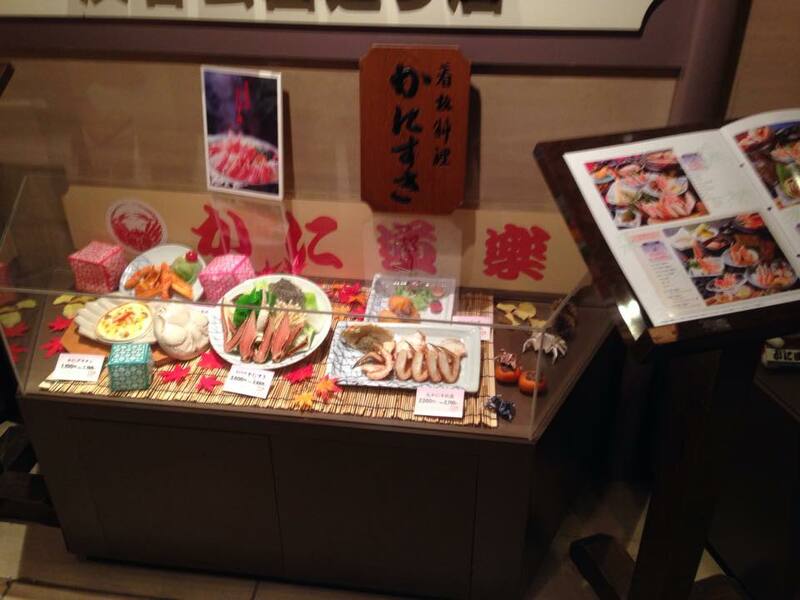 A lot of people will say that dining at Kani Doraku is a must if you visit Osaka. 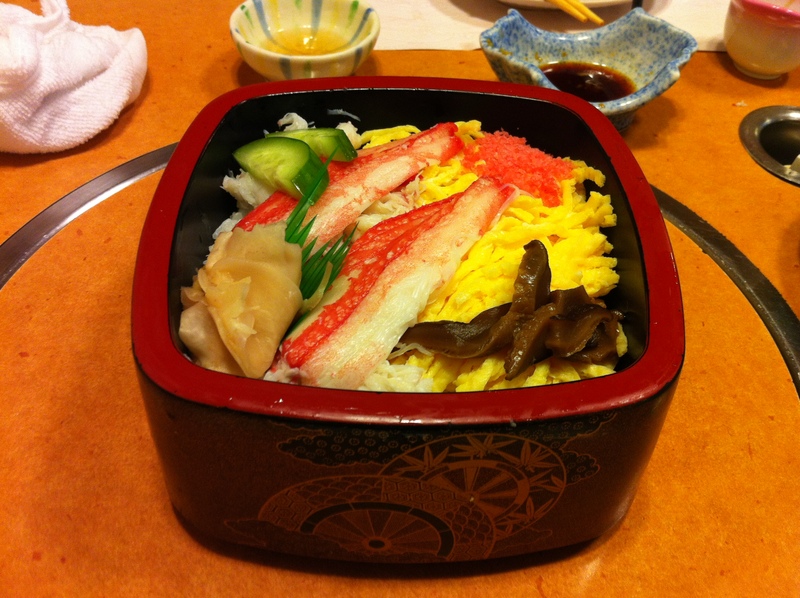 The great news is that you can enjoy Kani Doraku’s amazing crab meals in plenty of other places, including several in Tokyo. 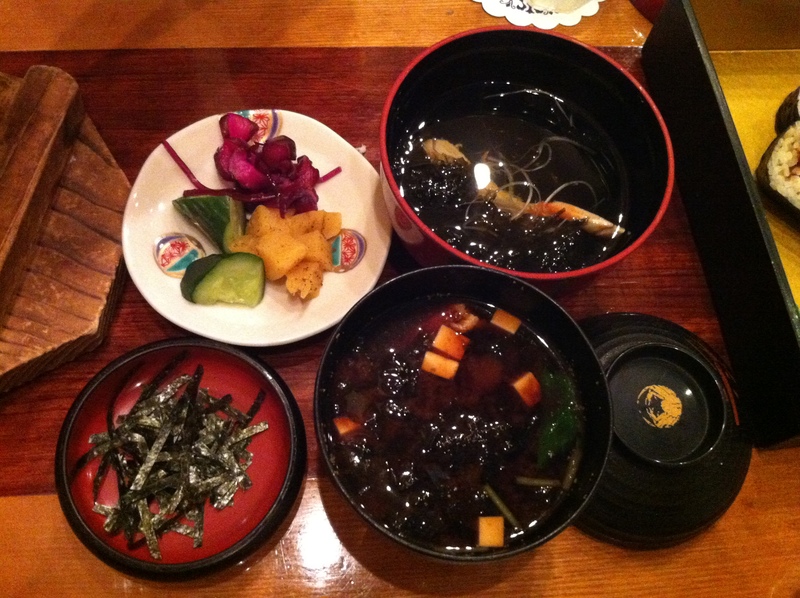 During our most recent trip, we visited the Shibuya Kani Doraku restaurant, Kani Doraku Shibuya Koen-dori ten. 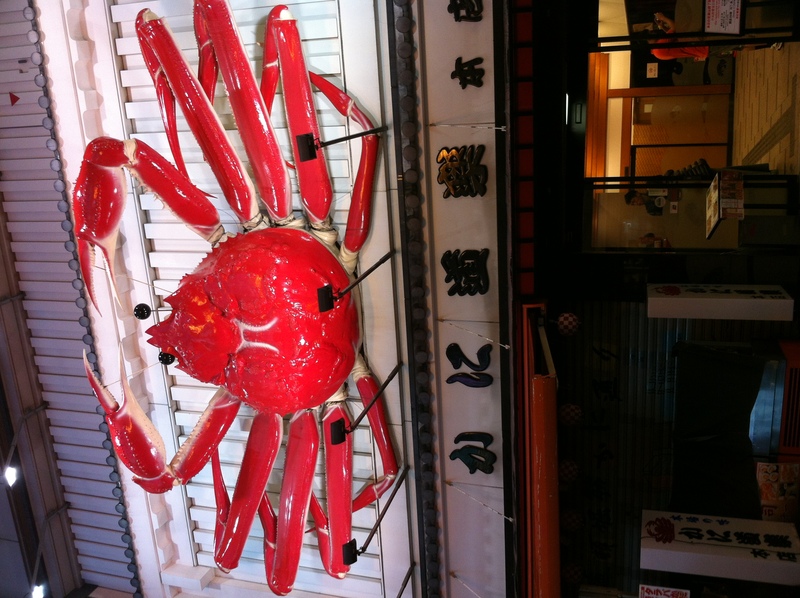 It doesn’t have a giant, moving crab on the outside of the building (if that’s important to you, the Shinjuku restaurant has one of these), but the food was every bit as good as what we enjoyed in Osaka. 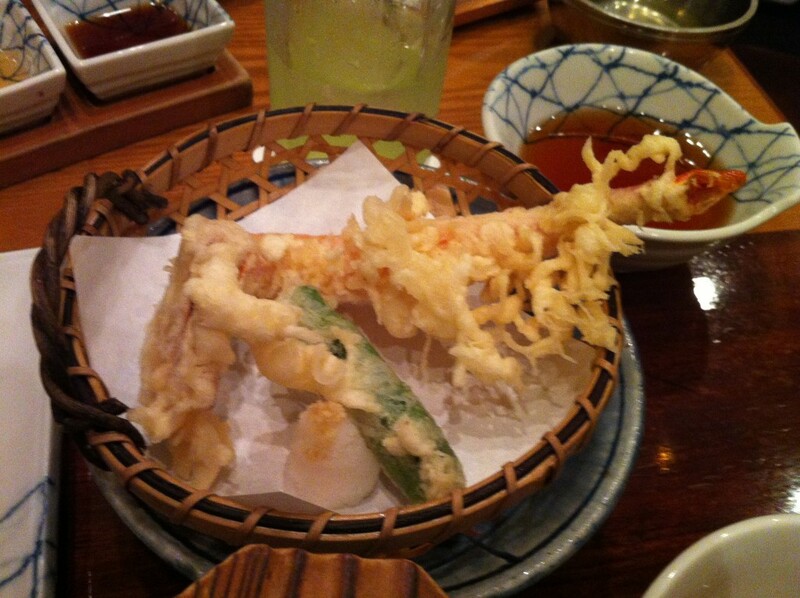 Like the Osaka restaurant, you take your shoes off to eat, although at the Shibuya version you keep your shoes off until you reach your table, and then they put your shoes in a basket next to your table. Once again, the tables are lowered into the floor and there is room under the table for your legs, or you can sit cross-legged. 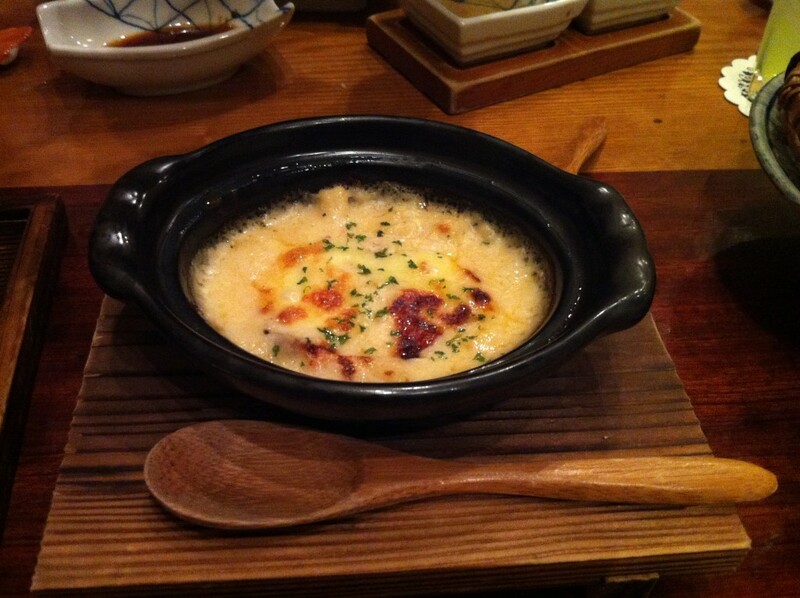 Reservations are a good idea at the Shibuya restaurant, too. We considered dining there on a Wednesday night and they did have a free table after 9pm, but we ended up making an earlier reservation for the following evening instead. Unlike Dotonbori honten, the Shibuya branch is all across the one floor, so it has smoking and non-smoking sections (but not a full non-smoking floor). 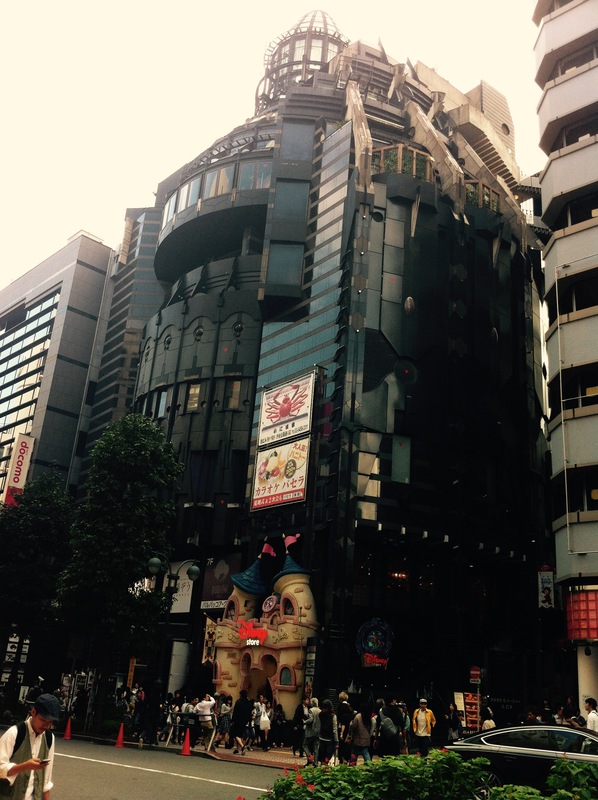 With 132 seats, it’s a little over 1/3 the size of Dotonbori honten. For dessert we had mochi ice-cream. I was hesitant to order dessert, but my partner ordered this and it was delicious. 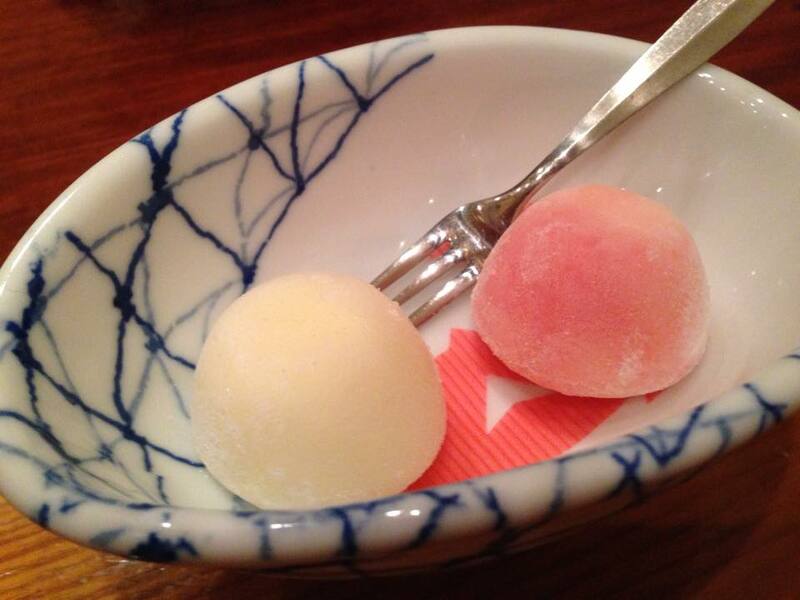 We’ll definitely have mochi ice-cream for dessert again next time! 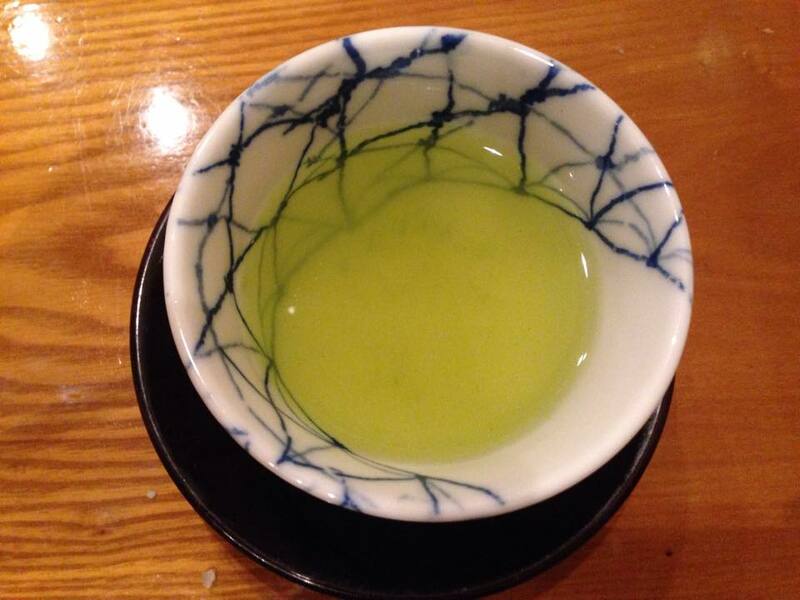 A little cup of matcha tea to finish off. 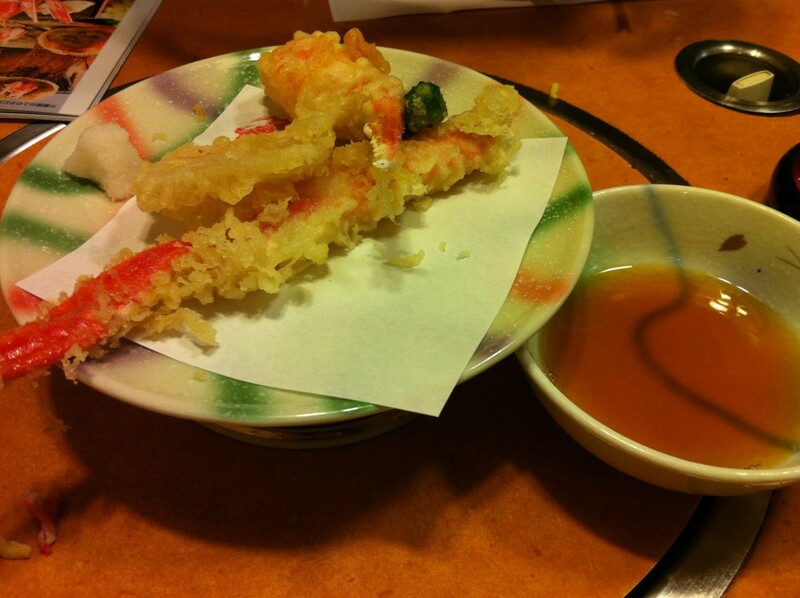 The service at Kani Doraku is great. We found the staff to be friendly and helpful at both restaurants. 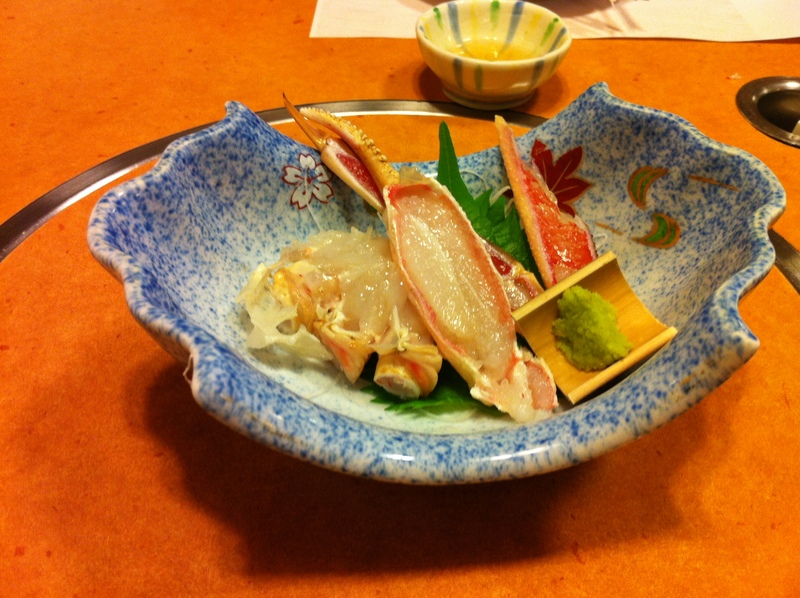 We also loved how the food was prepared – when it came to the crab meat that was still in the shell, it was cut open so that we could get it our really easily (no time wasted trying to get to the food, and it’s much less messy this way, too). 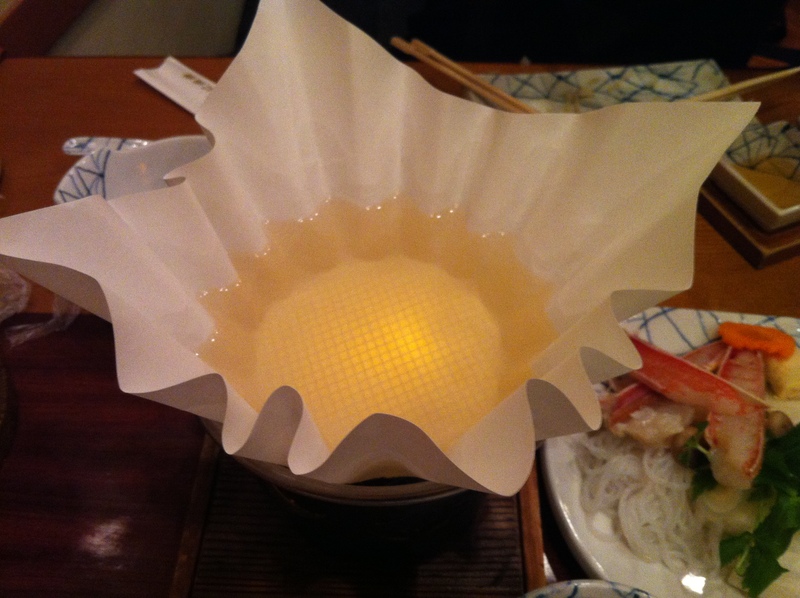 Would I recommend Kani Doraku? Absolutely. 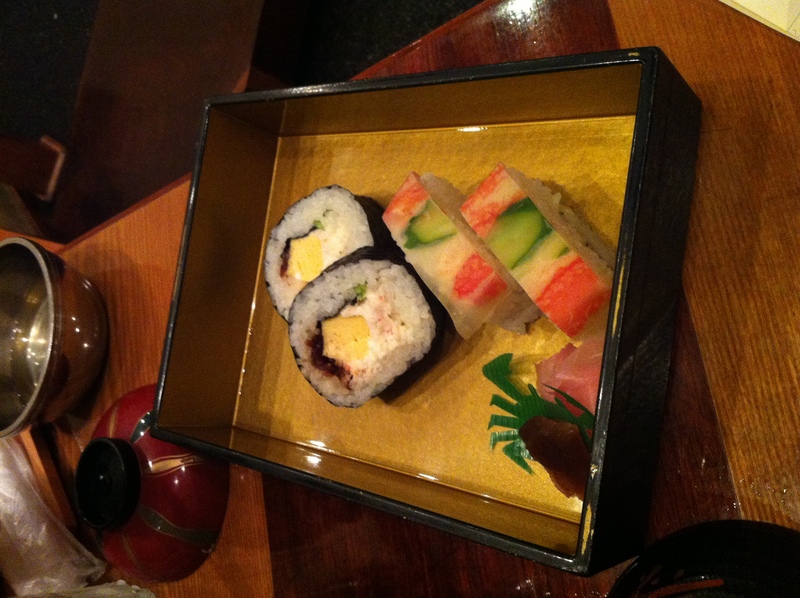 We loved both the Osaka and the Shibuya store – and we found that the food was equally good at both. 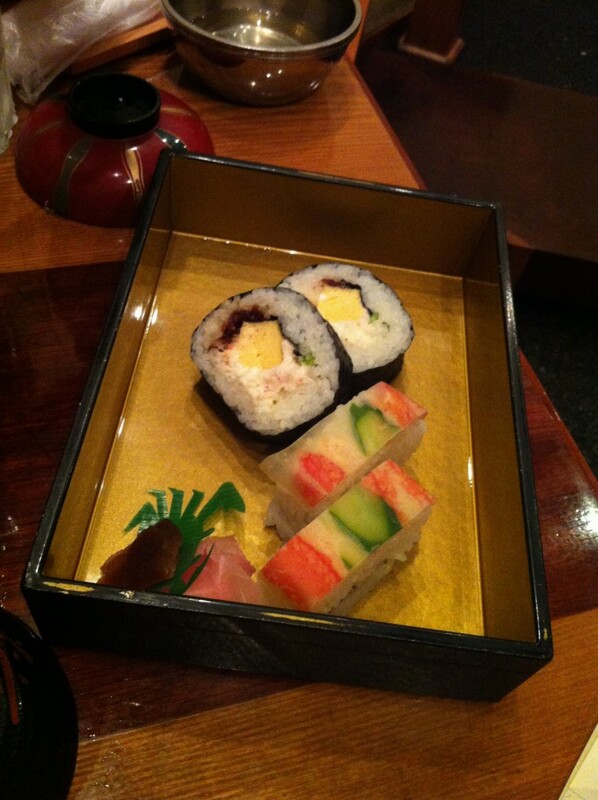 Although it’s not cheap, the food is fantastic. 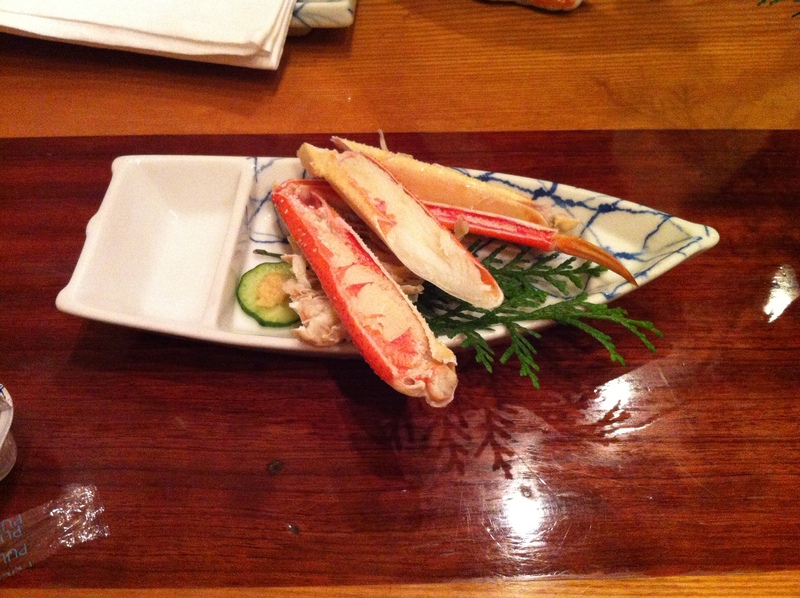 Each time we enjoyed 10 to 12 different crab dishes – crab indulgence really is the best way I could describe it. 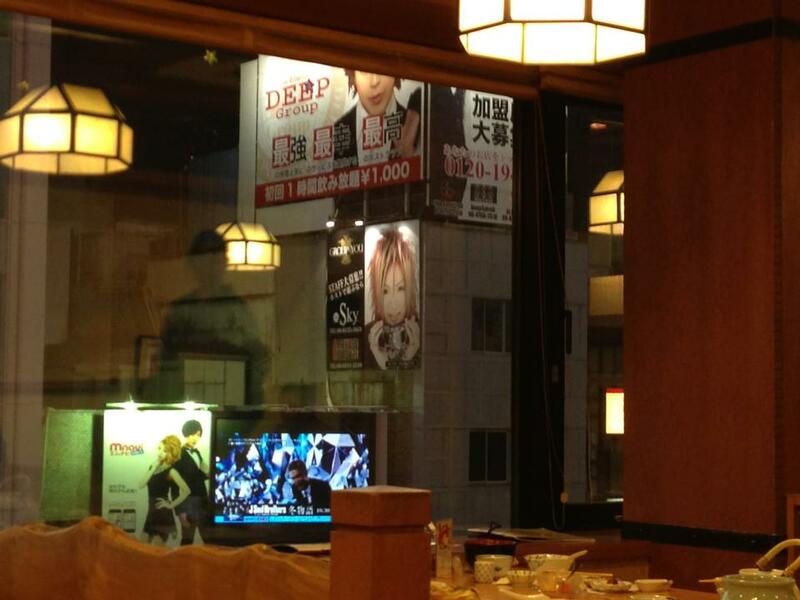 We’re planning to go to the Shibuya restaurant again on our next trip. 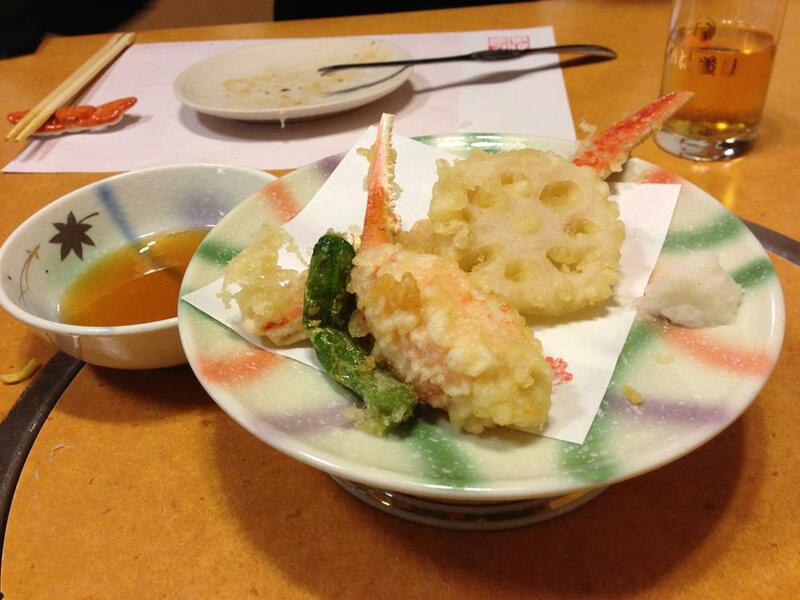 Thanks for the great review covering over 10 dishes! 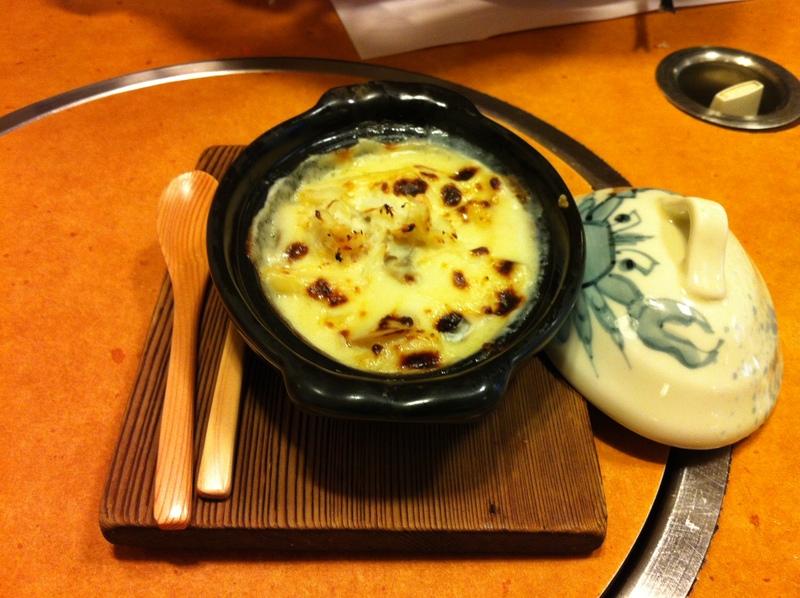 Never knew Shibuya had a kani doraku and nice to know ithe food’s as good as Osaka. 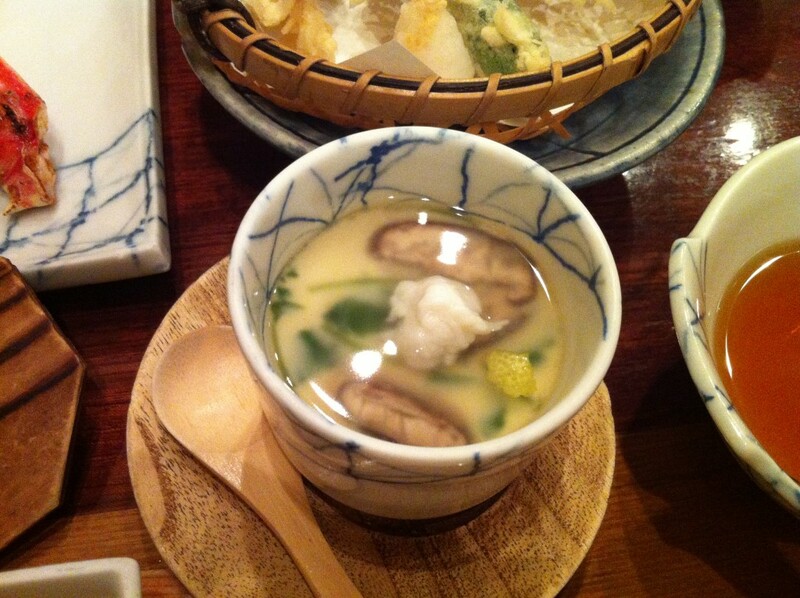 Will go next time I’m in Tokyo! 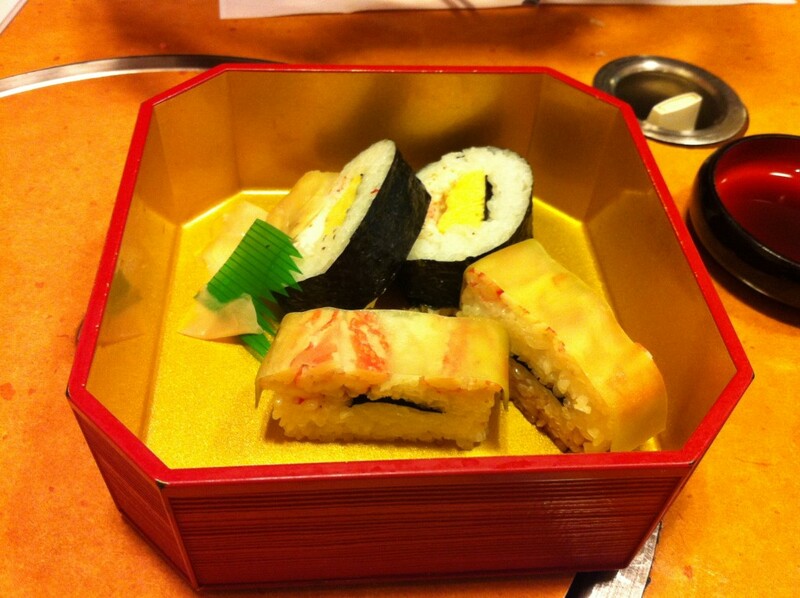 Thank you very much for the review, and the information you shared about Kani Doraku. 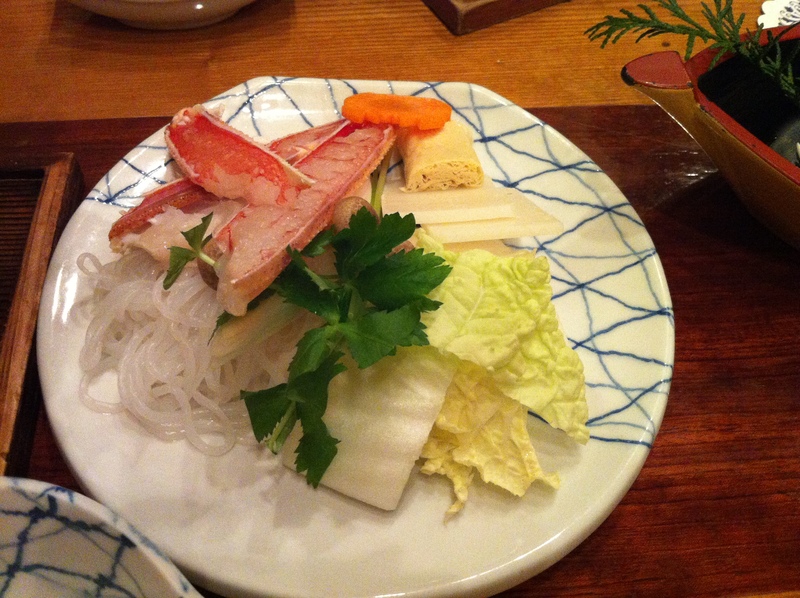 I have been researching on crab restaurants that I can try for my Tokyo trip next month, and your article is very helpful. 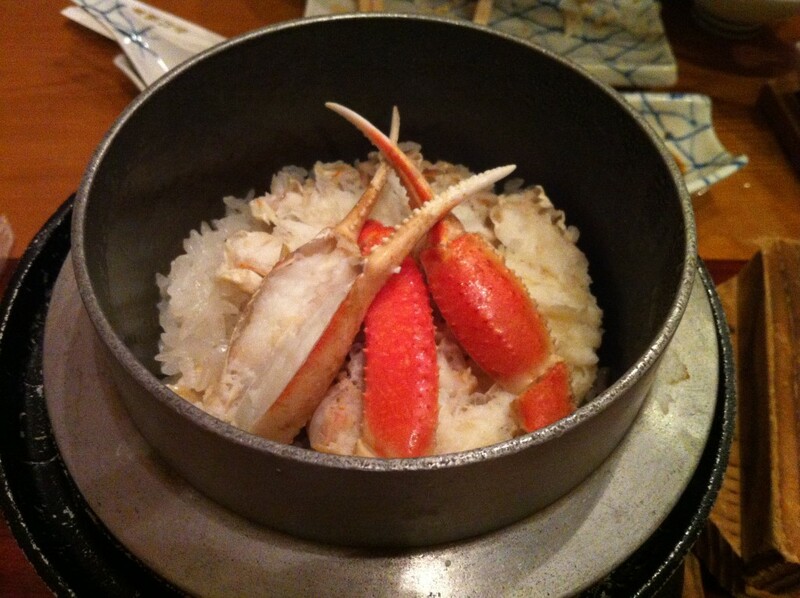 I am just wondering if the crab multicourse meal is only good for one person. 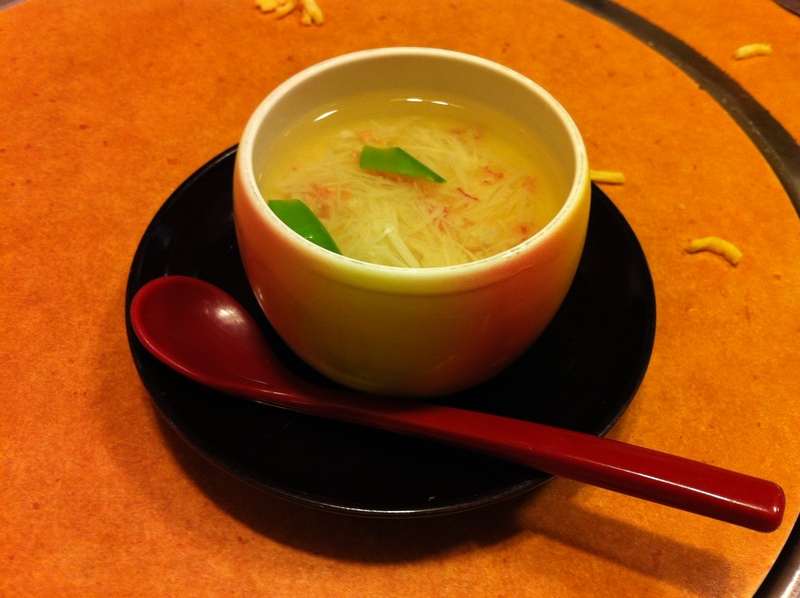 Does the restaurant allow two persons to share a single order of a multicourse meal? The multi-course meals are intended as one-person meals, but depending on your appetite, these may be more than enough for one person. In the case of my partner and me, two multi-course meals would be too much food, so we tend to order one mult-course meal, plus a few individual dishes. 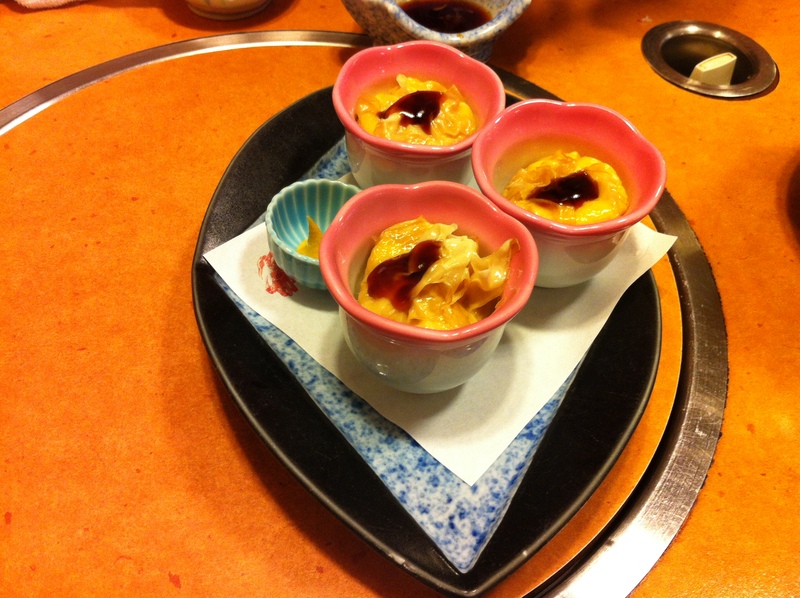 We’ve been to Kani Doraku several times now, and the staff have always been fine with us sharing a multi-course meal, especially given that we order some extra dishes too. We generally eat 10-11 dishes in total (shared between the two of us), and that’s including what comes in the multi-course meal and whatever else we order. We’ve always found the staff to be helpful, so you can ask for their opinion on a particular multi-course meal (there are a few to choose from) if you get there and you’re not sure which option to go with. The multi-course meals are good value, so my recommendation is to start by choosing a multi-course meal and then potentially pick some extra dishes to go with it. Thank you very much for your informative reply. 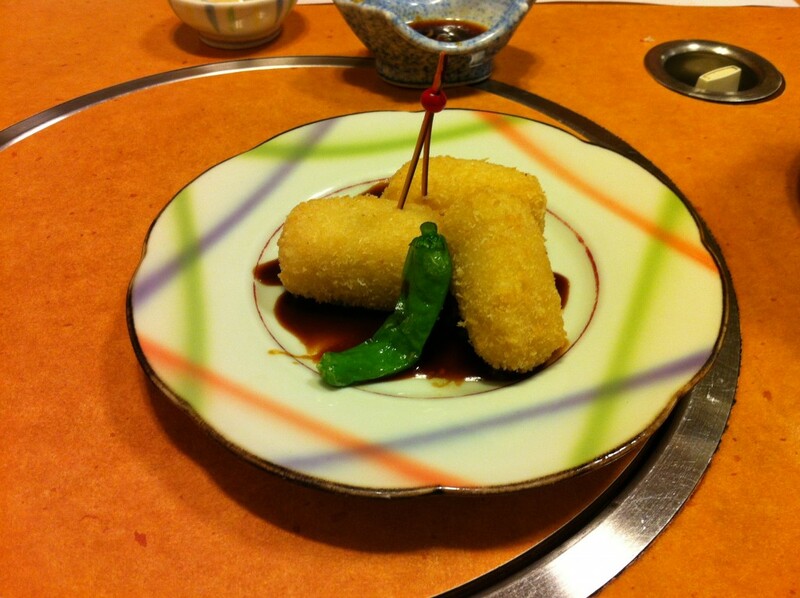 Your blog is a great help for those who travel to Japan to experience the wealth of its cuisine.